How smart are you? 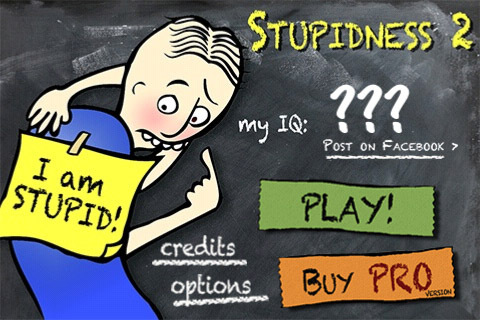 Put your Einstein skills to the test yet again in Orangenosestudios brain puzzle app Stupidness 2 and see how you favor in the IQ world. 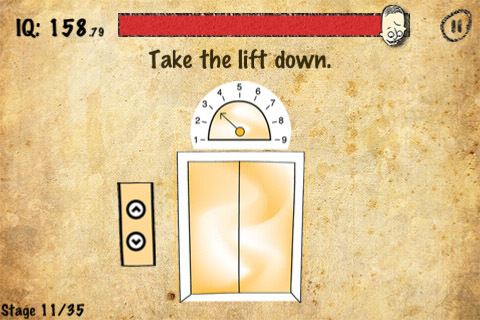 It's similar to the app What's My IQ? Play through 35 unique questions that will stimulate your brain. 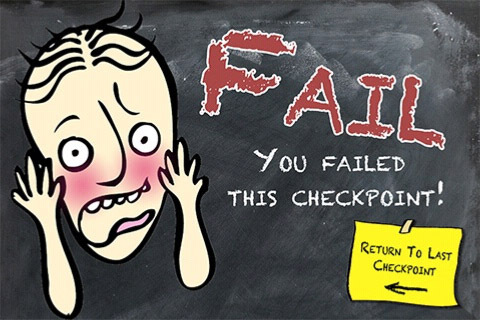 Reach checkpoints so you don't have to start from the very beginning when you fail a question! If you fail do not stress, you'll only need to start from the first question of that series of questions within that checkpoint. Basically you do not have to start from the beginning, unless you just started the game. Reaching checkpoints makes it easier to start from a series of question you get stuck on so you do not have to restart the entire game. 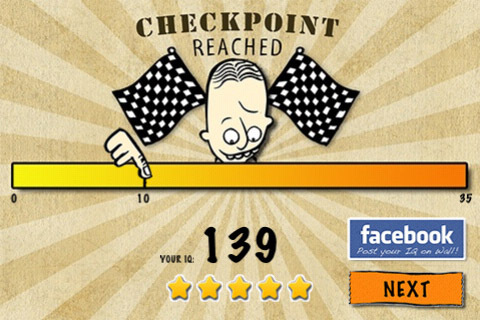 Do you have an awesome IQ score you'd like to show off to your friends? Well you're in luck, you can post it to Facebook. Launch iTunes! OrangeNoseGames.com Coming Soon!